A list of books to help you prepare for the First Certificate in English exam. Four authentic Cambridge English Language Assessment examination papers for the revised Cambridge English: First (FCE) exam from 2015 These examination papers for the 2015 revised Cambridge English: First (FCE) exam provide the most authentic exam preparation available, allowing candidates to familiarise themselves with the content and format of the exam and to practise useful exam techniques. The Student’s Book with answers is perfect for classroom-based test practice. 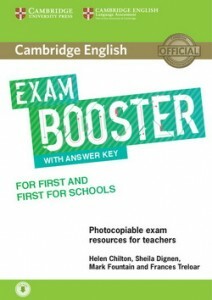 An Audio CD containing the recordings for the Listening test is available separately, or as part of the self-study edition (containing the Student’s Book with answers and Audio CD), also available separately. 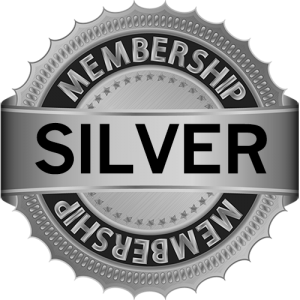 All the practice you need for a top score in the Cambridge English: First (FCE). Suitable for Upper Intermediate students (CEF level B2) preparing to take the Cambridge English: First (also known as FCE or First Certificate in English). _Timesaver For Exams_ is a new series of photocopiable materials for English teachers to use with students who are preparing for exams. They save teacher preparation time with a wide range of refreshing easy-to-use lessons and activities, providing motivational ideas for exam classes. 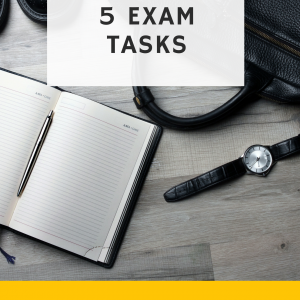 The engaging and contemporary content is aimed at teenagers and young adults with an emphasis on repeated practice of exam task types and includes exam tips and skills practice. 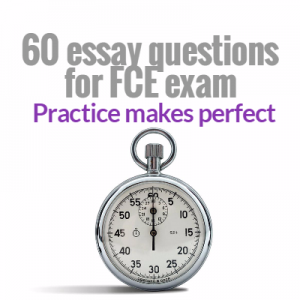 _Writing for First (FCE)_ covers both parts of the revised exam and can be used for students sitting both the standard and For Schools exam. _Timesaver For Exams_ is a new series of photocopiable materials for English teachers to use with students who are preparing for exams. They save teacher preparation time with a wide range of refreshing easy-to-use lessons and activities, providing motivational ideas for exam classes. The engaging and contemporary content is aimed at teenagers and young adults with an emphasis on repeated practice of exam task types and includes exam tips and skills practice. _Listening for First (FCE)_ covers all four parts of the revised exam and can be used for students sitting both the standard and For Schools exam. With two CDs and full audio transcript. _Timesaver For Exams_ is a new series of photocopiable materials for English teachers to use with students who are preparing for exams. They save teacher preparation time with a wide range of refreshing easy-to-use lessons and activities, providing motivational ideas for exam classes. The engaging and contemporary content is aimed at teenagers and young adults with an emphasis on repeated practice of exam task types and includes exam tips and skills practice. _Reading and Use of English for First (FCE)_ covers all seven parts of the revised exam and can be used for students sitting both the standard and For Schools exam.